Sitting in the warm glow of my local pub last Friday, chatting with a group of friends about subjects as diverse as music, food, racism and allotments, it struck me that I could not remember the last time I had done this. Usually when I am in a pub – and it is not that often these days - it is for either a meeting or a pub quiz; never without purpose, never just to relax, never only to drink and talk. And I realised that it is a shame, because there really is no better way to spend your leisure time. One hundred years ago there were 99,000 pubs in Britain; now there is half that number and it is declining at a rate. Nearly 30 pubs close every week in this country and if that were to continue, there would be none left by 2050, That, of course, will not happen but the sharpest decline has been in the past ten years and it has been faster in rural areas than urban. Home drinking has long been killing pubs but there are a number of other social factors involved in the waning of the local: a change in attitudes towards alcohol has seen less being consumed now than there was a dozen years ago (a fact I find hard to believe), there has been a significant shift in tastes away from beer (a fact my own experience supports) and the UK smoking bans of a decade ago excluded a significant group of pub-goers (a fact I am ambivalent about). Then in the wake of the smoking bans the recession turned up; the subsequent austerity-driven real terms fall in wages reduced the amount of disposable income being spent down the pub and, together with other factors such as duties, taxes and planning regulations, this terminally affected the economic viability of many pubs. But this was not just confined to chains that would ruthlessly close any uneconomic pubs and sell them for development: closures have been split equally between the corporate and independent sectors. Fortunately, in the ten years I have been living in East Sussex, I have not known any of the pubs in my area to close permanently. However, I do recall driving around with a group of work colleagues on a freezing Sunday night in February a few years ago trying to find a pub that had not closed for the night due to lack of customers. 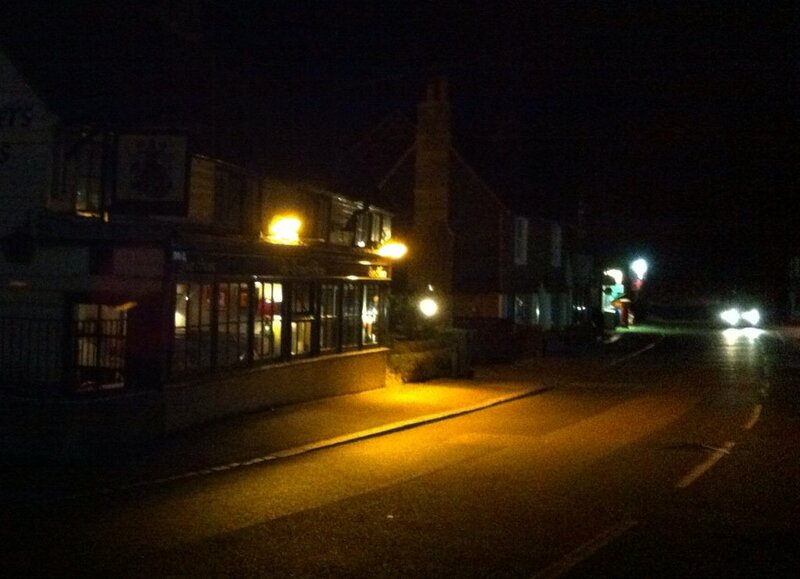 There are two pubs in my village: one has just had a facelift, which can only be a good sign, and the other has been closed intermittently between landlords but now seems to be in a period of stability. I was in both of them last week: the former for a Wednesday night allotment committee meeting (rock ‘n’ roll, I know) and the latter was the scene of my purely social Friday night. Sadly, on both nights, the number of customers struggled to get out of single figures. My own culpability in the neglect of a key feature of the community made me feel guilty and I vowed to regularly support my local boozers. And more of us need to do it because, before we know it, they will be gone forever.